We absolutely loved Shantae: Half-Genie Hero—on both Wii U and Switch—though one minor point of contention was that the game ends a little sooner than we would like. 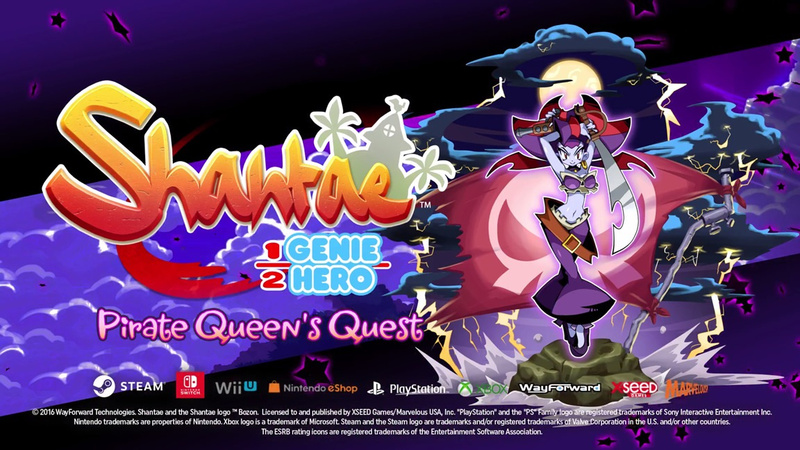 Of course, since launch, WayForward has been busy preparing a lot more content to add on to the game, the first of which is a new storyline in which you take control of the villainous Risky Boots on her own adventure. 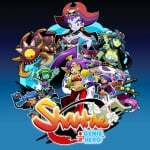 We previously knew that the expansion would be launching before the end of the year, and now WayForward has come out with an official announcement. What do you think? Will you be getting this? How did you like the initial game? Share your thoughts in the comments below. I just finished this game last night so I'm all ready for this. Took me 9 hours to 100%. Longer than most uncharted games so not sure why the knock on its length. Awesome, I will definitely be picking this up. I have the retail version on PS4 so I'll have to get on there. I have been tempted to double dip for this game on Switch though. August 29th? That's a busy date. I haven't bought Half-Genie Hero yet. I'll wait for a sale. The game is fairly short by this and other accounts and while I appreciate that they've included Wii U when most others have moved on, it seems a bit lazy to use the same levels to add a bit more content while asking for 50% more money. Will it be 50% extra content? Highly unlikely. Got my backer code for the DLC. I haven't even finished the main game yet. It arrived at a bad time when I was playing other games and now I have hard time going back to Wii U.
shantae's a really fun game. the character herself ought to guest host a splatfest with marina as pearl goes on sick leave. I'll be skipping this one. 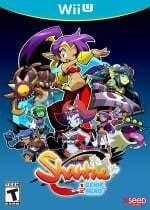 Shantae HGH just didn't work for me. I'm not a great Metroidvania player so I blame me, not the game. Some parts were fun, but too much backtracking and secret finding for me. @Alikan I wouldn't call this metroidvania, this has a weird mix of replaying the same level multiple times, whereas a metroidvania is more about opening new areas in places you have already been. But that said and myself being a huge metroid fan, I'm also on the same boat, the game is not bad and has some cool moments, but felt kinda short and just not that fun. It forces you to replay the exact same level way too much to pad the length. Plus, some of the upgrades completely break the game. I was literally invincible by the end boss. I got the backer code for Risky Boots. Pretty solid but too many familiar places and bosses. If you want a skin swap of Shantae with some moves from the previous game where she used Risky equipment mixed in then that is pretty much what you get. Took me 2 hours and 10 minutes to 100% the Pirate Queen DLC. It also utilizes the forced go through a level ten times to collect everything stuff that the Shantae quest used to buffer the completion time. Cool. But half genie hero was easily the worst of the series. @SouthpawGrammar Yep. Disappointing considering Pirate's Curse was such a masterfully crafted experience. I'll check this out on PS4, which is the platform I selected when I backed this game initially. Wow. A few users are claiming HGH to be the worst in the series. To each their own; I'd much rather play HGH over Risky's Revenge by countrymiles. Played Pirate's Curse on Wii U and loved it but this one on the Switch is just abit boring in comparison. That the DLC will feature the same locations doesn't get the pulse racing. @MonkiPlays The Wii U physical version came out long ago. The Switch version is coming. I hope they release a physical collection at some point. @Zach777 Oh dear, seems that this DLC is a bit on the expensive side. I'll be patiently waiting for a sale then. No rush for me with Mario & Rabbids out next week and Rayman out soon after. Even though I loved the original game, I don't think I'll be buying this. I bought ½ Genie Hero on the Wii U, which barely gets powered on these days. I don't agree with paying full price for the game a second time on the Nintendo Switch, so I'll probably give the DLC a miss. Maybe if there's a really sweet deal that includes the game and DLC in the future then I will reconsider. I get the concern. Yet if it's as clever as the Shovel Knight new campaigns, it's worth it ! Hah! Saw a few weapons from Pirate's Curse. This outta be good. I'm in on this. Loved both Pirate's Curse and Half-Genie Hero. No doubt it will be worth the $10. My Wii U decided to not work by displaying an error message. From what I can tell, it was a save file that corrupted the system. Got to end send it off to Nintendo, the same day I get the Risky DLC code! Well the Shovel Knight DLC was actually free, which I think is very generous for the amount of effort they put in. This Risky DLC content feels like it should been put at the start. Thanks guys, I just noticed I got my backer code today. Gotta download it this weekend. I thought it was going to be free dlc. Oh well, will still buy! So a new playable character is $10.........yeah I don't think so. I loved Shantae and beat it twice but I'm not playing the same levels for a 3rd time. @Zach777 - Does it have four new wallpapers specific to Risky Boots? I.e. 100% Completion, Speed Run, 100% Speed Run. As much as I want to support Way Forward, Half Genie Hero really dropped the ball for me. Combined with how soon they usually put their stuff on sale, I'll probably wait a while on getting this. Definitely interested though as it will hopefully recapture some of the wonderful gameplay from Pirate's Curse. 5 bucks maybe, not 10. I will wait. Nice! I have yet to play the original, but its nice to know that there is more stuff coming. 10 Euro's is a bit much though. I loved that game! This DLC seems to be the same levels, but re-designed. Not sure about the $10. I will probably buy it anyway.